The holiday baking is finished, presents wrapped (well, not really...I still have more wrapping to do!) and the angel placed atop the Christmas tree. During WWII, my Dad who was in the Navy and stationed in Miami, usually had leave at the end of January. My maternal grandmother and his future mother-in-law at the time would keep the Christmas tree up until he came home with his presents beneath the tree. I can imagine the tree was a fire hazard by January’s end but I always thought what a heartfelt act and certainly a wonderful homecoming sight. I know this is the second Christmas tree I’ve posted but I have two tree cutters. You see, I couldn’t decide which one to buy so I purchased both! 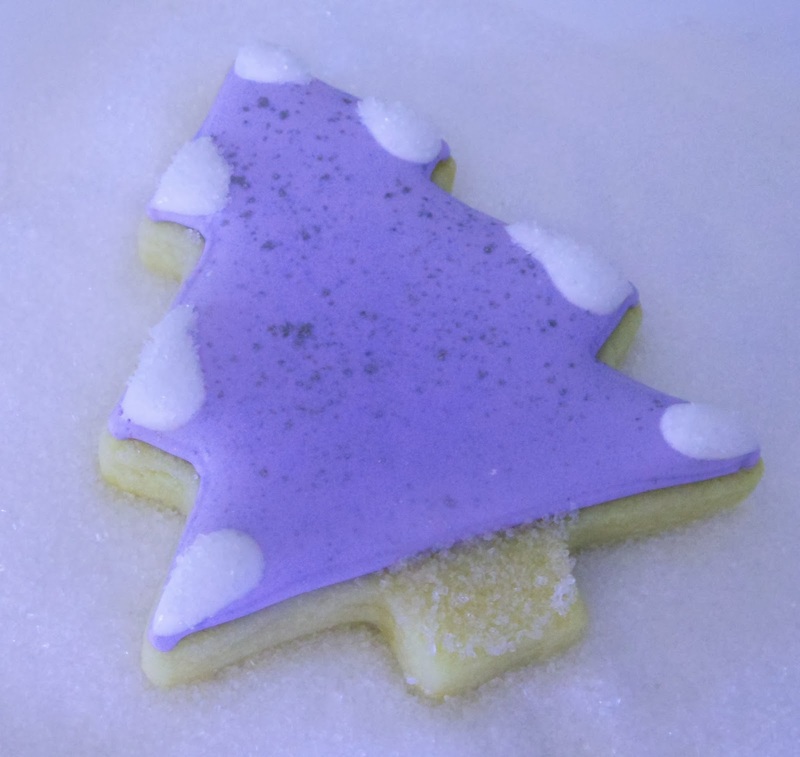 This is a simple design with added touches of glitter to the tree and snow on branches. Don’t the snowy branches bring to mind a wintry scene, a la Currier & Ives? Well kinda! We had pine trees bordering my childhood home and after a snowfall the evergreens were so beautiful covered in snow. Best of all, it meant lots of sledding fun! 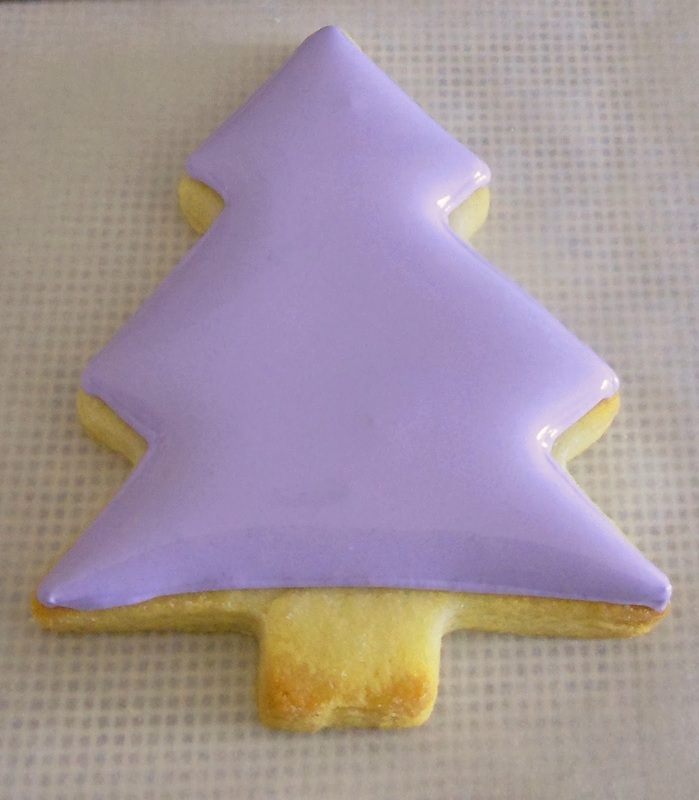 Outline cookie with #2 tip in purple icing. 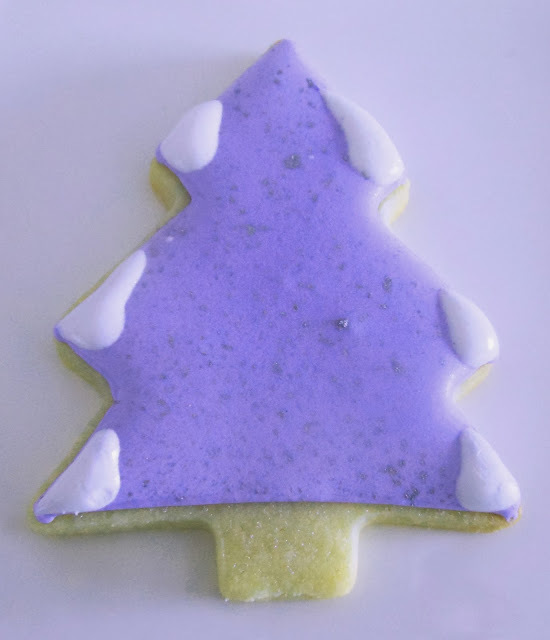 Flood cookie with purple icing. 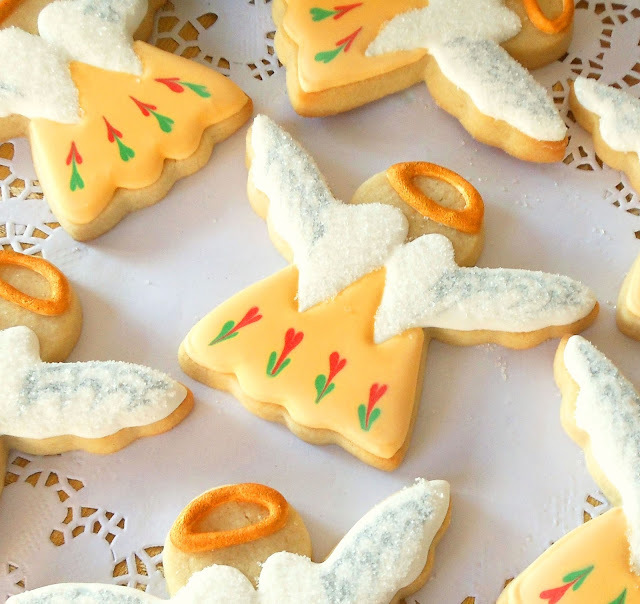 With paintbrush flick gold luster dust onto cookie. Let dry 30 minutes. 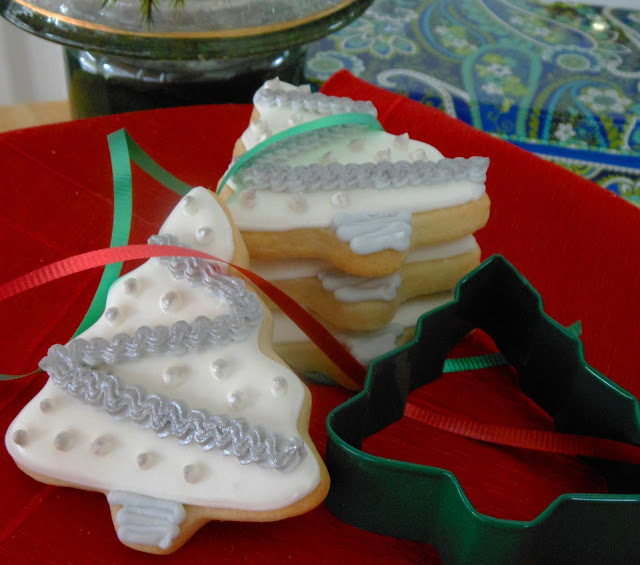 Pipe detail onto tree branches with white flood icing. 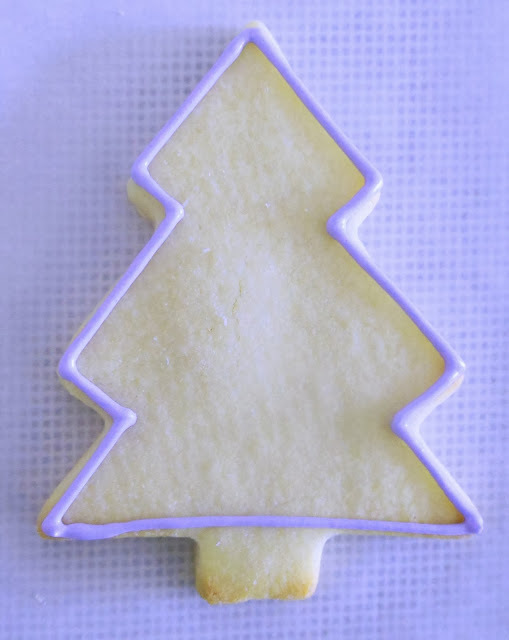 Using a toothpick spread icing to resemble snowy branches. 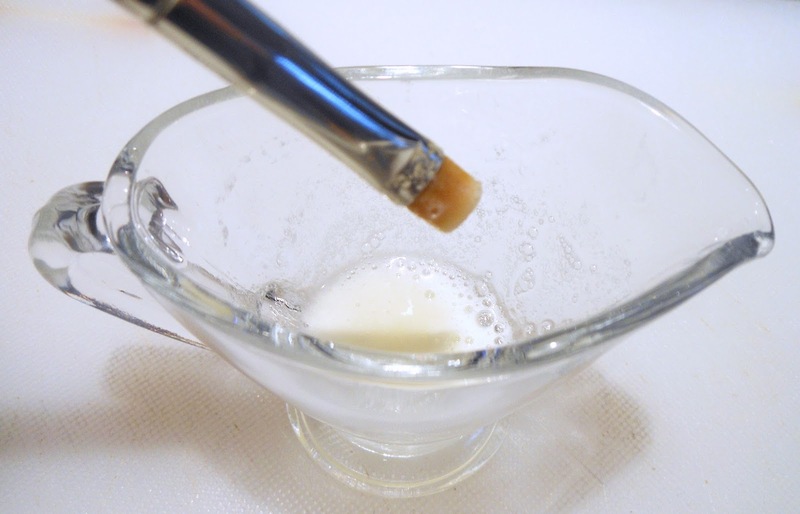 Let dry overnight. Using a paintbrush apply to white snow and tree trunk. 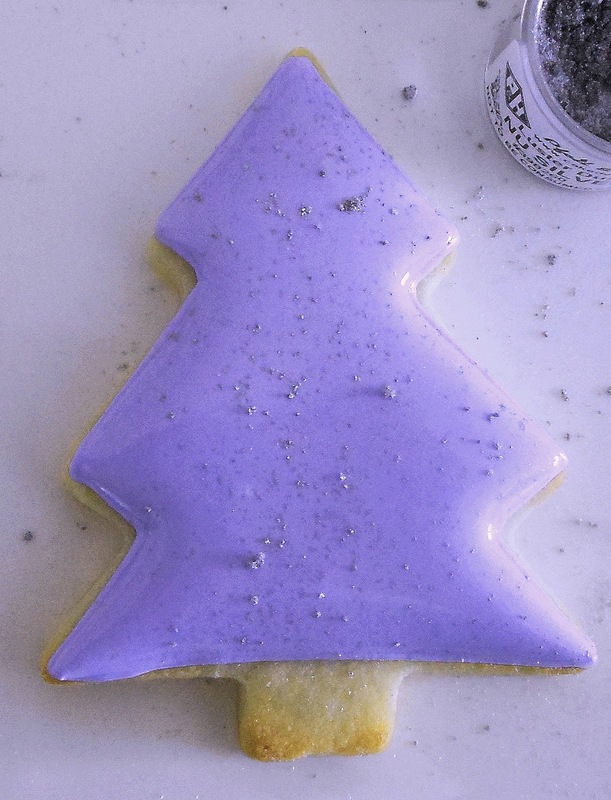 Sprinkle with white sanding sugar. Gently shake off excess. Let dry 30 minutes. 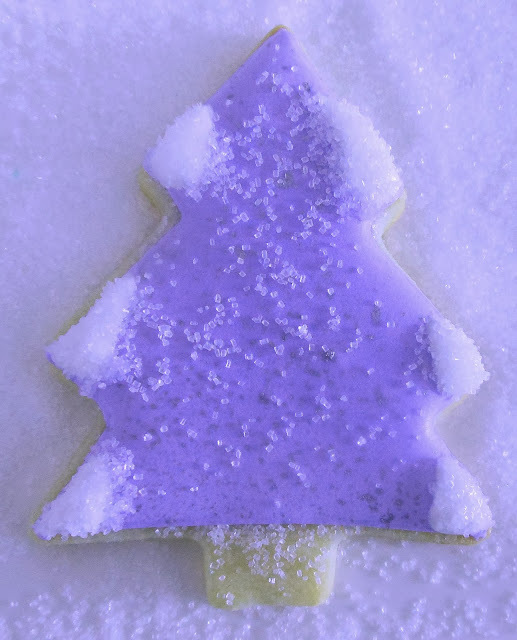 such a beautiful posting...I love the purple and the snow!!! Thank you. I'm glad you enjoyed this post. Happy Holidays! I like the fact that these are so original. Thank you. 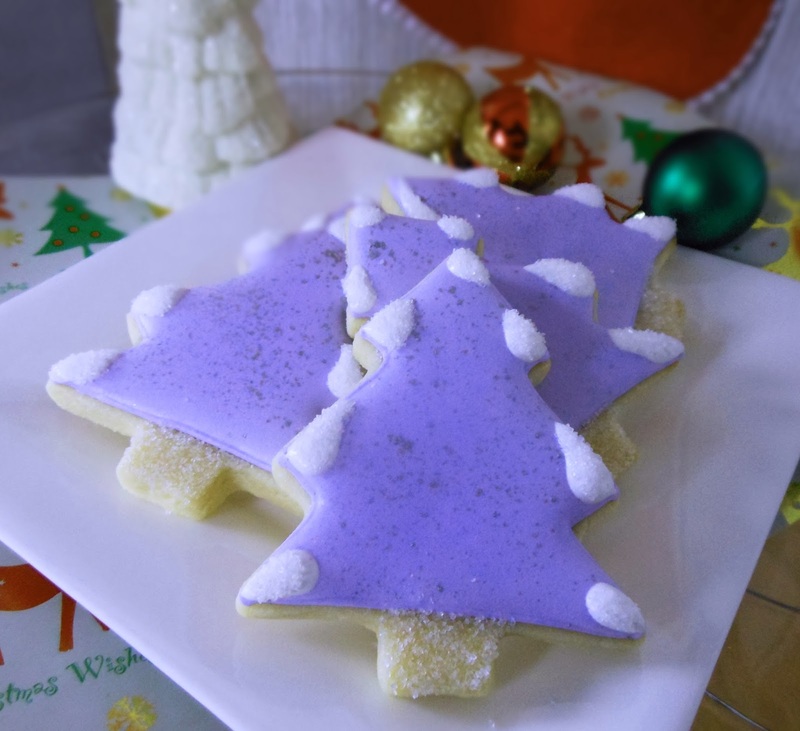 My favorite part of these cookies is the glittering snow. Happy Holidays! Love the story of your Dad and the Christmas tree. Your purple trees are pretty too! Merry Christmas Joan. It's been a pleasure getting to know you these past several months. All the best to you, your family and this blog throughout 2014. Paula, Thank you and I appreciate your support during this past year. 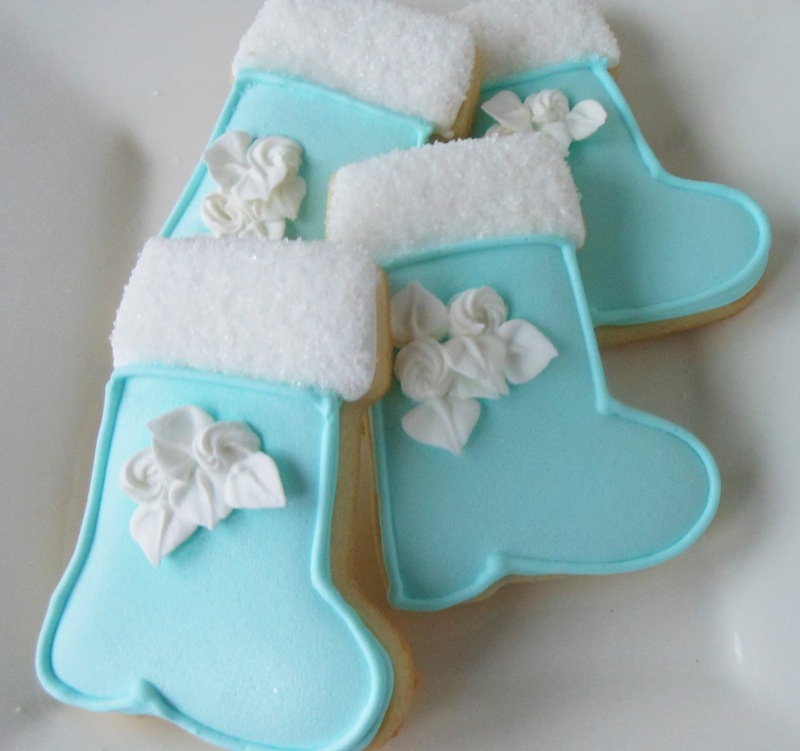 I enjoy viewing your beautiful cookies and I look forward to your creations in 2014. Happy Holidays! Ros, Thank you and I appreciate your visit to the Cookie Clinic. Happy New Year to you too! Anne, Thank you! I appreciate your support and kind words. Happy New Year!